Mohammad Ali is a research fellow at the Department of Islamic Studies in Jamia Millia Islamia, New Delhi, India. He is also affiliated with the Madrasa Discourses program, initiated by the University of Notre Dame. His research interests include Muslim intellectual history, Muslim philosophy, Ilm-al-Kalam, Muslim sectarian conflicts, madrasa discourses. In the contemporary understanding, the word madrasa connotes various meanings and interpretations. For Muslims, however, this word has its historical significance as an institution for learning; in the modern world, it was set up as the guardian of religious education, or religion itself. The word madrasa also brings to mind more than a century-long debate in India about reform in the madrasa curriculum. The current curriculum was essentially designed by the eighteenth-century scholar Mullā Nizāmuddīn. 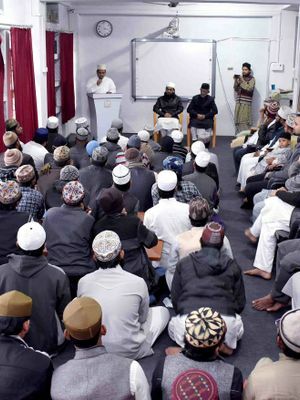 It is therefore known as Dars-e-Nizāmī, or Nizāmī Curriculum, and is still functioning in most of the Indian madrasas although there are some madrasas associated with movements such as Salafism that use a different curriculum. However, the debates about reform of madrasa curriculum have been around without any distinction. 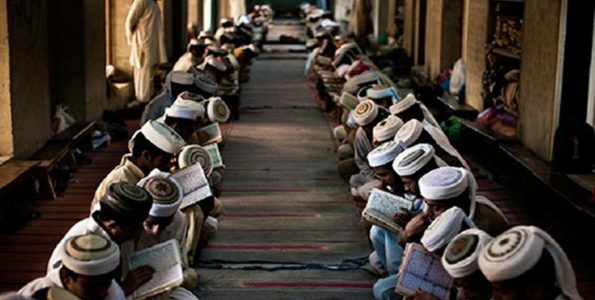 Proponents of madrasa reform argue that because the curriculum and pedagogy used in madrasas were designed long ago in a society different from our own, it has lost its vitality and relevance today. Accordingly, the focal question raised by the criticism about the curriculum goes as such: since madrasas do not include the subjects important to understand the modern society, they will inevitably fail to produce able religious leaders and scholars that can comprehend the modern concerns and complex challenges. At this point, let me evoke an interesting debate on madrasa curriculum that I have witnessed during my eight-year-long stay in madrasas. While discussing heated topics surrounding madrasa curriculum with classmates, the conversation shifted to the use of some elementary level Arabic grammar books written in Persian, for instance Nahw-e-Mīr (the Grammar of Mīr) authored by a fourteenth century Persian scholar, Alī ibn Mohammed al-Jurjānī. One student argued these books should be replaced by Urdu books. He said that because the medium of instruction is Urdu (though the curriculum is heavily loaded with Arabic textbooks, Urdu is used as the medium of instruction in Indian madrasas), Arabic grammar books written in the same language must be the part of the curriculum. Due to the use of the Persian books, students first had to translate the text and then learn the rules of the grammar. It would cause them a huge problem in comprehension; they would memorize the text without much understanding of it. Another student, on the contrary, pointed out that these books were written by pious scholars and had long been part of the madrasa curriculum. God had put his barakah (blessings) into them and graced many through these books. Therefore, he maintained, replacing those books would not bring any good to the curriculum. This argument comes from veneration of a curriculum that has become mystified, irrespective of its utility. Once a proud institution for academic learning and cosmopolitan education, madrasa has now been reduced solely to a religious institution. Professor Ebrahim Moosa, the director of the Madrasa Discourses Project at Notre Dame University, has rightly described this alteration of functionality as a shift ‘from a republic of letters to a republic of piety’ in the sixth chapter of his monograph, What is a Madrasa? Despite a number of similar critiques and works, however, so far, criticism of the madrasa curriculum has been successful only to some extent in awakening the ʿulamā, theologian-jurists, from their sloppy slumber. And yet, there are some changes that have been made in the madrasa curriculum. New subjects such as the Hindi and English languages, mathematics, and basic computer skills are being added and taught on a very elementary level. Though it is a change, it is not so significant that it can be guaranteed to inspire a good progressive leap in near future. Since madrasa education only provides an exclusive Islamic religious education that does not offer a good professional career and job opportunities in India, many of those graduating from madrasas then choose to enroll in a university to pursue a professional degree. Many of them, thus, cut their ties to madrasas, however, some of them return and join it again, but this time as a teacher, mentor, or advisor. Having been exposed to the modern knowledge system exemplified in university education, they apply their skills to the traditional seminary. The fact that they have acquired modern educational skills and sensibilities, which before seemed inconceivable to many in the Indian society, inspire new generations of madrasa students. In the past, university education was discouraged in madrasa, and those who ventured down that path and adopted Western outfits were disregarded. Now much has changed, and I have observed that these madrasa-university graduates are earning the trust of their fellow madrasa graduates, and can be considered a new hope for the future. The madrasa students attending an extension lecture. Image source: Zishan Ahmad Misbahi. I visited a cohort of such enthusiastic graduates assembled at a madrasa in the village of Saiyed Sarāwān, in Northern India, in February 2018. Many of them I had already met in New Delhi. Having been to many madrasas, I could imagine what this madrasa was going to look like. In India, small madrasas are housed in ordinary structures, sometimes so small they can only accommodate 10-50 students. Some madrasas are very big, like the madrasa of Deoband or Nadwatul Ulama in Lucknow, and have enough resources to accommodate thousands of students. Students aged from seven to twenty-five and were dressed in kurtā-pājāmā. These mostly white clothes, complete with a skullcap, are one of the most interesting characteristics of a madrasa. They are provided with very humble accommodation; multiple students share a single room and have only the floor on which to sleep. Madrasas are run on charity and grants and they provide free education, and some of them even provide scholarship for senior students. This non-commercial nature of madrasa education is the great source of attracting students from the lower strata of society throughout the country. After traveling for nearly ten hours from New Delhi, I reached Saiyed Sarāwān. Located on the east of Allahabad city, the town was surrounded by large grain fields, amongst them a narrow road leading towards the village. I was told that this village was founded by a fourteenth century Sufi master named Saiyed Haqqānī. Though Saiyed Haqqānī’s progeny no longer resided in the town, it is still blessed with a shrine and khānqāh (a Sufi lodge), known as Khānqāh-e-ʿĀrifiā. It was established by another Sufi family whose founder Sheikh Bahāuddīn Sālār, a descendant of the third Caliph, Uthman, settled in Qannauj, one of the earliest cities conquered by Muslims in India. Somewhere in the fourteenth or fifteenth century, the descendants of Bahauddin Salar migrated to Saiyed Sarāwān and there kept alive the Sufi traditions they inherited. Sheikh Abū Sʿaīd, also known as Dāiy-e-Islam (the preacher of Islam), is the current rector and Sufi master of the khānqāh. The madrasa I visited, Jāmia ʿĀrifiā, was first started in 1993 in the premises of this khanqah. During medieval Indian history, khānqāhs functioned parallel to madrasas as religious institutions, but they each had distinct pedagogies. Since men of every age and religion visited the khānqāhs, Sufis chose to deliver lectures as their method of instruction. From the stories of the prophets and pious men, to parables and metaphors, they showed an acute potential to draw lessons on various subjects ranging from theology and ethics, to tolerance and Sufi creeds, and more. The study of Fawāid-al-Fuād, a collection of the sermons of Khwajā Nizāmuddīn Auliyā of Delhi, depicts in great detail the function of a khānqāh as a religious institution, and how Sufis were active in imparting religious and ethical teachings to the masses. In modern India, most of the khānqāhs have ceased to operate in the same way, and are converted merely into shrines. However, a few still remember their traditions and continue them with the passing of time. Many madrasas are housed in khānqāhs and affecting each other, thereby, creating a place where once distinct institutions will necessarily mix together. Jamiā ʿĀrifiā can be counted one among the few. On my visit to the madrasa, I observed that the Sheikh wanted to combine the robust madrasa tradition with the subtle experiences of Sufism. During my two-day stay, I had the opportunity to meet the Sheikh and understand his ideas and inspirations. At this moment, I shared the company of Kunwar Yusuf Ameen, by profession a Professor of Pharmacology at Aligarh Muslim University, but by tradition also known for his expertise on traditional philosophy. He was invited to deliver a lecture in the madrasa on traditional philosophy. The Sheikh seemed keen to spend some time with us despite his busy schedule. Every time he sat with us, he tried to draw our attention to various issues that could be either complex or commonplace, and he explained them in a very traditional vein. The Sheikh’s outlook professed an inclusive ideology of Sufism. While commenting indirectly on the sectarianism among Muslims, he made a very radical point that is not common to hear in many Muslim societies: he argued that hidāyat (guidance of God) has no label and cannot be bound to a particular group. A truth seeker can be found in any group, whether it be Shia or Sunni, Barelvi or Salafi. Our modern construction of madrasa is highly effected by sectarianism, as is clear on the Indian subcontinent, where madrasas are identified as Deobandis, Barelvis, and Salafis. Everyone is confined within their own boundaries, and curses the other schools as misguided or heretics. Sheikh Abū Sʿaīd rejects this sectarian division and invites people from other sects and religions to his khanqah and madrasa in order to listen to them with his disciples and students. He believes the interaction of the madrasa students with people of different ideologies exposes them to the world on a wider scale. Personally, I found the students of his madrasa very open to differences in opinions and faiths. Sheikh Abū Sʿaīd considers the modern knowledge system equally important. He has brilliantly inspired scholars trained in madrasa as well as in university and brought them together in Saiyed Sarāwān. With their help, he wants to develop an effective pedagogy and education system. These scholars take advantage of their learning in university to build a web of communication with scholars from different fields, making available to their students introductions to subjects they themselves are unable to teach. This growing interaction of madrasa with the outer world can help establish a bridge between the two worlds. The inspired students of this madrasa are aspiring for a better professional career as doctors, lawyers, teachers, etc. Some of them have also found their way to universities after the completion of their madrasa education. Though this madrasa has been successful in setting an example of tolerance towards differences, examples of teaching critical thinking to students are yet to be established. Students are trained to think within the box almost in every madrasa: there is no scope to question the established thinking. Being tolerant to other ideas does not mean to be critical to one’s own. A hard-pressed question still bothers the madrasa system: whether it is so dangerous to be critical to one’s own tradition or worldview. I wonder whether these small changes will be able to set a different course for this historical institution in future. Zishan Ahmad Misbahi, Dāiy-e-Islam, unpublished manuscript, (2017), 18-22. I am thankful to my friend Zishan Ahmad Misbahi who allowed me to cite his valuable work on the history of Khānqāh ʿĀrifiā.